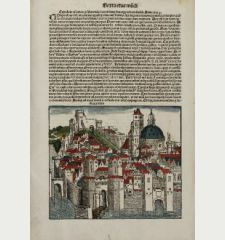 Coloured woodcut town view of Genova, Roma, Rome. 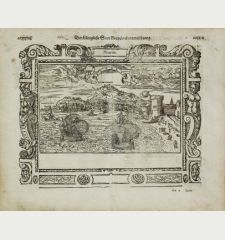 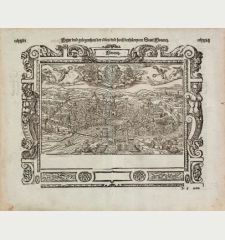 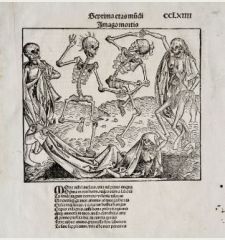 Printed in Nuremberg by Anton Koberger in 1493. 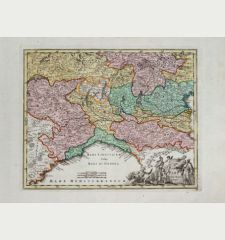 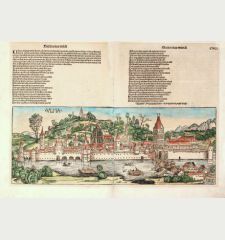 Decorative coloured incunable double-leaf in folio showing Rome by Hartmann Schedel. 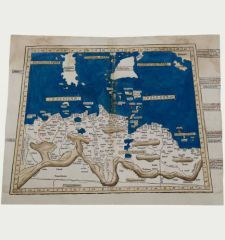 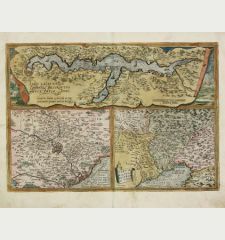 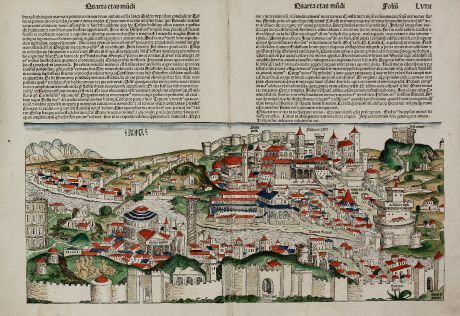 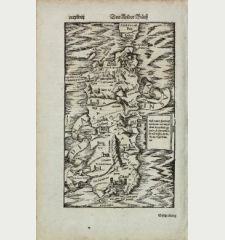 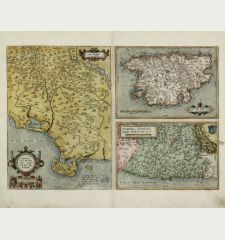 From the famous Liber chronicarum or Nuremberg Chronicle in Latin edition published in 1493, the year that Columbus returned to Europe after discovering America. 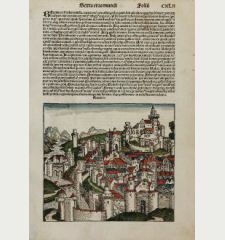 Leaf number LVIII. 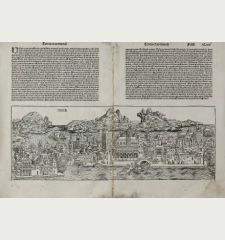 On verso the authentic half-page view of Genoa. 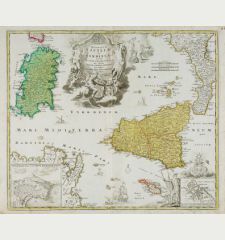 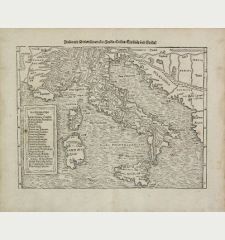 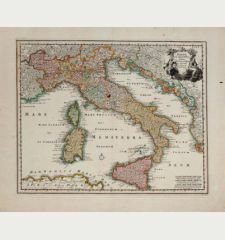 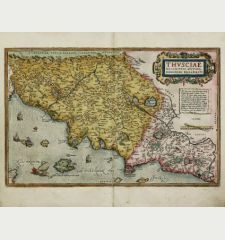 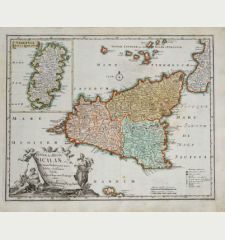 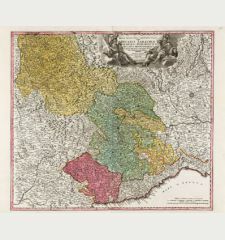 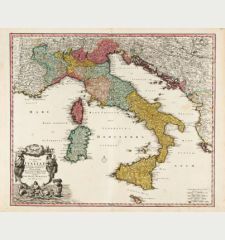 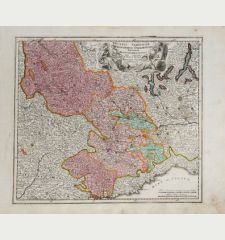 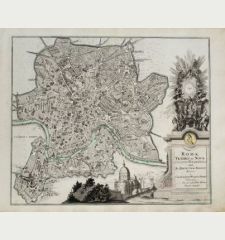 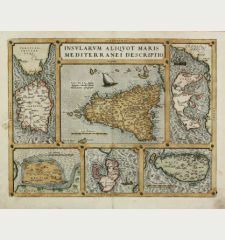 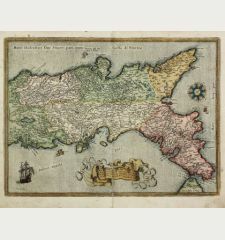 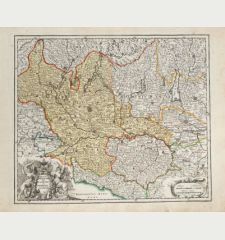 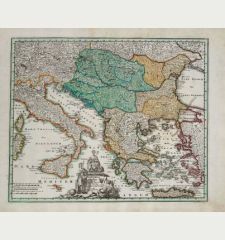 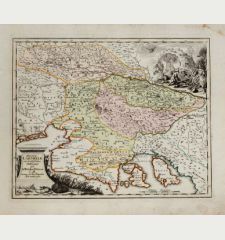 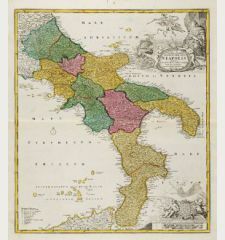 The view is based on the plan of Giacopo Filippo. 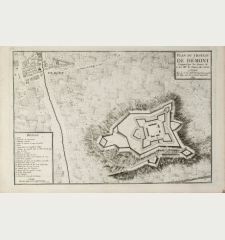 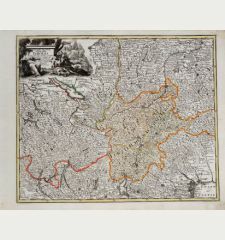 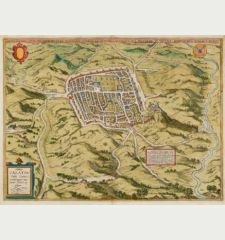 It is one of the oldest authentic plans of Rome and realistically the only large format 15th Century view obtainable to collectors. 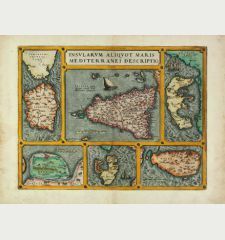 Centrefold backed, tear and two small worm holes in lower margin backed. 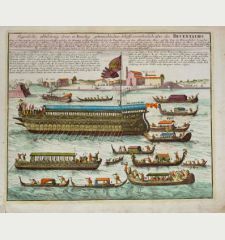 Later hand colouring, uncoloured on verso.